Critical times call for practical decisions. With the price of gasoline now clinging to P60 per liter, budgeting our fuel needs must be causing us more wrinkles as we look into a mirror every morning. Should I drive my car to work or just take the bus or MRT? Are we, ordinary mortals, left with no better choice? Then we heard someone whisper: Try the Honda BeAT. 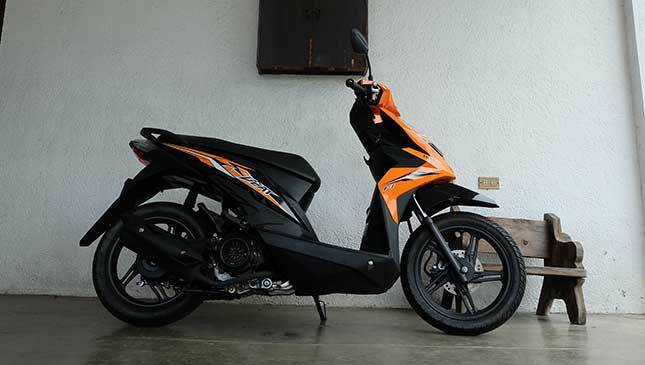 But more than just zeroing in on japorms, the BeAT can be your dependable daily ride to office, school or for that quick errand to a sari-sari store. Lately, so much talk has been going around about Honda's small wonder. 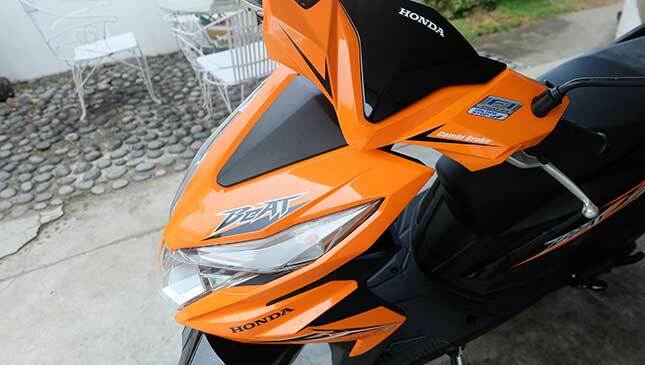 Let's see if the rumors about the Honda BeAT’s performance are true. Fire up the engine! 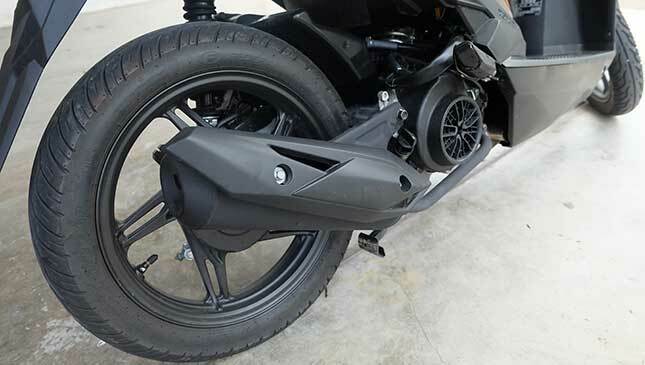 When scooters come to mind, motorcycle engineers always aim to balance performance and styling with low production cost. Scooters are primarily thought of as lightweight two-wheelers whose purpose is to take an individual from Point A to Point B. But competition in this segment has gone from mild to wild, forcing scooter companies to stretch out more in terms of features and design. To prevail in the market, scooter manufacturers need to cut down on production costs to have good price positioning at the same time. Somehow, the Honda BeAT still excels in terms of fashionable design and functional features. Honda did real good in the balancing act. From the stylish ‘V’-shaped headlight/turn-light clustering, to the informative instrument panel, it’s obvious that Honda made an extra effort to make the BeAT appear more attractive. Nothing is more fashionable than students riding on it with their backpacks, or moms taking home a basket of veggies placed on its stepboard. We rode the BeAT bearing the youthful Nitric Orange color finish. Does it sound more like an energy drink? The Honda BeAT’s 110cc engine is light, easy to maintain, and more important, fuel efficient. On the average, a Pinoy commuter travels at least 10 kilometers a day, mostly house-to-office and vice versa, with most of his or her time spent in heavy traffic. 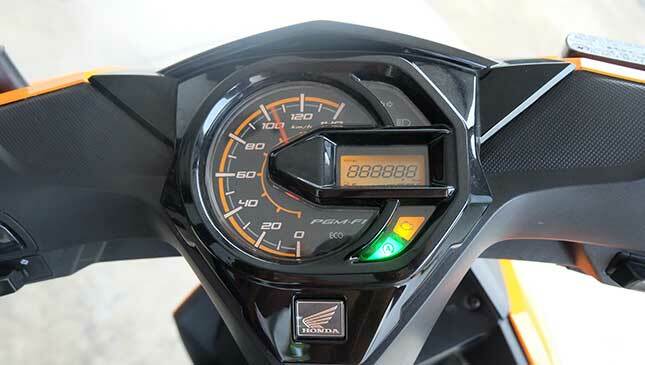 During our test-ride session, the Honda BeAT posted a 62.3km/L average consumption. Its secret lies on its ISS or Idle Stop System, a fuel saving feature which was once exclusive only to high-end cars. The BeAT’s 4-stroke, air-cooled, single-cylinder mill is impressively quiet and has very minimal vibration. 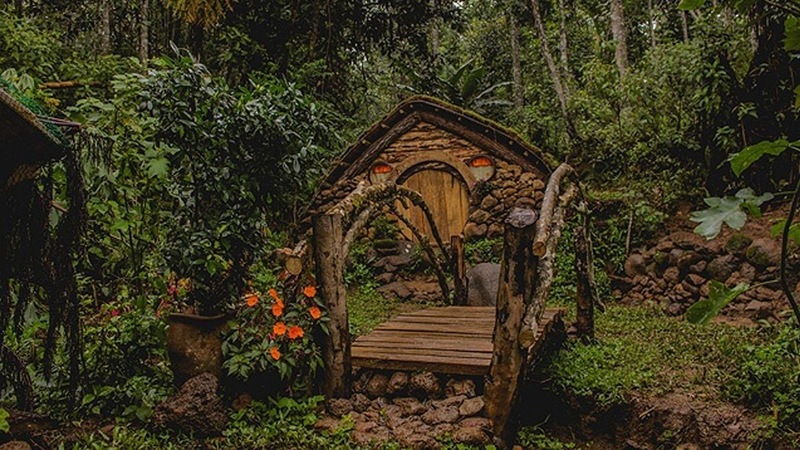 The rider can leave his or her house without being noticed. The Honda BeAT appeals to students, too. Some riders imagine this cutey is a ‘key chain’ that you can just put inside your pocket. Being a small and light, it’s already given that the BeAT is less stable on the road, especially when the speedo needle approaches 100kph. When riding on C-5, watch out for those notorious asphalt berms in the middle of the road that can eject riders from a small, featherweight scooter like the BeAT. Extra caution must be observed during abrupt braking because the BeAT is not fitted with ABS. The seat also lacks cushioning, so long rides with the BeAT may be a backbreaking experience. A nice, aftermarket seat padding may provide some relief. 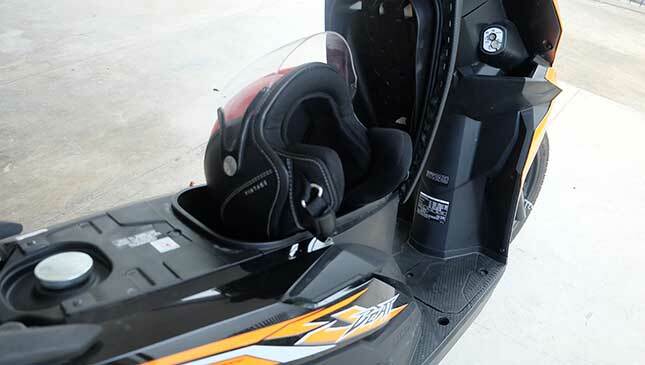 The cramped space on both sides of the rear part of the step board are not enough to allow the rider stand up every time the riding gets rough. The under-seat compartment has limited spacel to accommodate a helmet. Nonetheless, the riding position is always relaxed as the handle bar is mounted in an upright level. For short distance rides, the BeAT easily gets a high mark. With a wheelbase of only 1,256mm, it can weave through traffic without so much effort from the rider. It’s very nimble when turning. Even novice riders will have fun with the BeAT while executing 'figure 8’ maneuvers. It's proof that it's a perfect starter bike. Throttle response is notable and so are the braking characteristics. 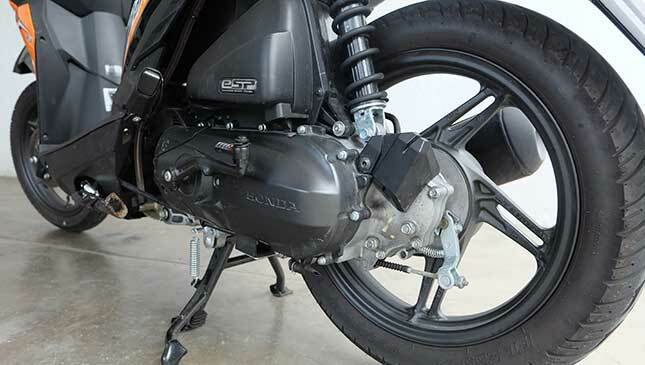 The higher variant boasts of the Combi Brake System which activates both the front and rear brakes in modulated amount whenever you press the left lever (for the rear brake). This is a real boon especially for beginners. This scooter also only weighs 90kgs which almost equivalent to that of one big adult person. With the help of the center stand, the BeAT can be moved from side to side and can be squeezed into a tight parking slot. 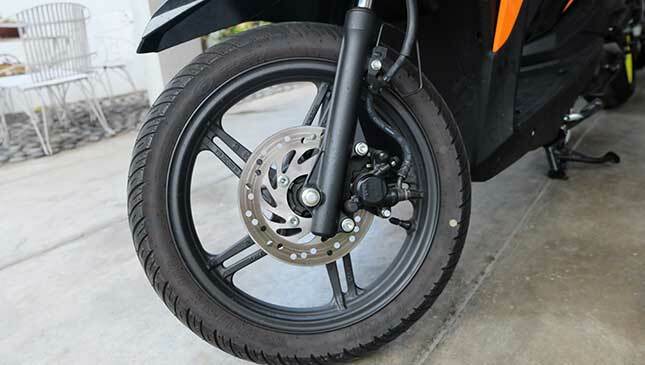 The Idle/Stop System and Combi Brake System for an easy-on-the-pocket ride like the Honda BeAT are enough to convince non-riders to try entering the exciting scooter world. These two technologies highlight safety and fuel efficiency. And these are two issues which now directly affect the lives of millions of Pinoy riders. One important fuel-saving tip for the BeAT: To optimize fuel mileage, make sure that the green ‘Eco’ light is kept ‘on’ as indicated by the semi-digital instrument panel whenever you’re riding. Now let’s do simple math: Multiply 60km/L (average fuel consumption) by 4 (fuel tank capacity in liters), and the result is 240km of average mileage per full tank of fuel. Yes, 60km/L is something to brag about nowadays. You might have the fanciest and fastest bike, but you keep having to refuel. Come to think of it: The money you save from fuel, vehicle maintenance cost, and parking fees, can be used for the monthly amortization of your new Honda BeAT. In case you decide to upgrade your ride, Honda motorcycles are known for good resale value. Are you still suprised why the Honda BeAT is being cloned by some of its competitors?